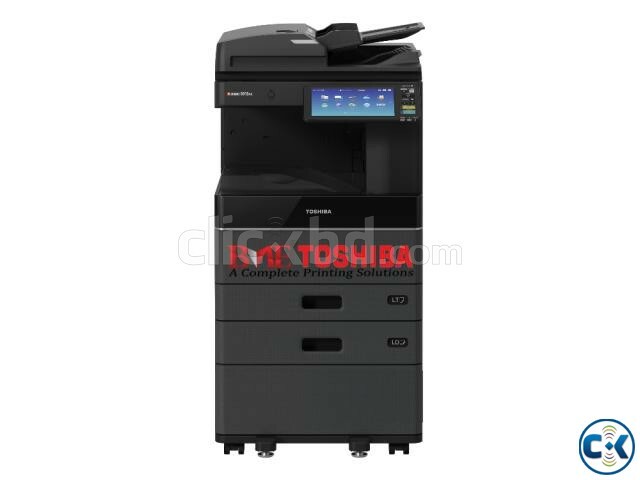 TOSHIBA e-STUDIO 2515AC Colour MFP Machines comprises an A3/LD-size color MFP series that offers print speeds of 25ppm. This series are integrating newly-engineered software and hardware advancements including an enhanced user interface, embedded application platform, advanced cloud and mobile printing capabilities, a new processor, and a better Dual Scan Document Feeder (DSDF) within a stylish, yet durable body. This Toshiba e-STUDIO 2515AC Series is deliver to provide tailored, high performance color MFP, as well as the hub of document workflow. Thanks to the newly developed system architecture, this series easily integrate with other system such as the cloud system, realizes improvement for your workflow, cost-effective solutions that meet specific print, document management and contact needs while helping you to meet your green objectives. Toshiba Universal Printer Driver enables printing on any Toshiba e-STUDIO device beyond 2nd generation e-BRIDGE with the same printer driver even when different e-STUDIO models are installed. The Toshiba e-STUDIO 2515AC copier is a high-end multi function copier designed for businesses print and scan function, 25 ppm copy / print speed, 2400 x 600 dpi resolution, monthly duty cycle 60000 sheets, memory 4GB, 320GB HDD, Here Optional Item Finisher, LCF and bluetooth.